Factoring is the practice of selling your accounts receivables to a factoring company, which will quickly give you a percentage of the money and then, later, collect the full amount due from you or your customer. Factoring companies make their profit on the fees they charge for their services, which start at around 1.5% of the financed receivables. Most factoring companies don't insure against non-payment. If your customer defaults, you have to pay back the money you've been advanced. Pros: "[Factoring] gives you instant cash, thus stabilizing your cash flow while reducing overhead," says business coach McKinley. "It also relieves your accounts receivables department from having to grant credit or risk larger invoices with clients." 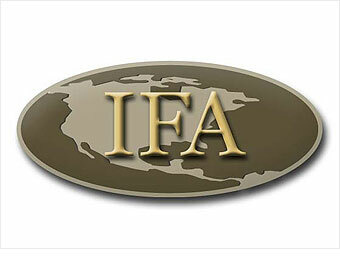 The International Factoring Association (IFA) can help you find a factoring firm that meets your business needs. Cons: "It can be very expensive," says Arensmeyer. The factoring company will take a cut of your invoice, which will cut into your profitability. Also, you will no longer be able to use your accounts receivables as collateral or security for a loan. "Before considering this, I'd look to your balance sheet," Siegel says. "Look at your accounts receivables and if you've been undisciplined in collecting money, try to be timelier." iReport: How's your business faring?